Grinders from across Europe were on hand at Aspers Casino in London over the weekend for the first ever event on the MPN Poker Tour. After two days of hard fought action at the felt it was Bulgaria's Antoan Katsarov who was crowned champion in the €550 Main Event. Katsarov started the final table with the second shortest stack but an early double up with AJ over pocket nines put him back in the hunt. He took control soon after, tripling up with pocket aces and followed it up with quad jacks to extend his lead still further. After eliminating Scott Syer in fourth with AK over A10, Katsarov piled on the pressure with his huge stack. The sound of all in became wearily familiar to opponents Antonio German and Ben Passantino. The Katsarov-inspired carnage continued with the Bulgarian coming from behind with 10-7 to eliminate Passantino who was holding A6. It took just one hand for Katsarov to seal the title. With an 8 to 1 chip deficit to overcome, German immediately moved all in with 10-4. 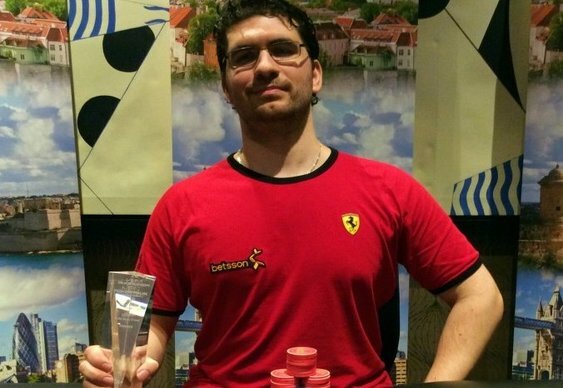 The Bulgarian looked him up with a dominating A-10 which held to give him the maiden MPNPT title and a first prize of £9,500. The MPNPT heads to Malta for its next stop. Qualifiers for the festival, which takes place from 11th to 14th September, are running at MPN sites including Bet Victor and Betsafe.